When it comes to health, nuts can prove to be very beneficial. A particular brain-shaped dried fruit can work well when it comes to enhancing one’s health. You must have guessed it – we’re talking about walnut. Walnut contains magnesium, amino acids, omega-3 fatty acids, and more. It boasts a rich nutritional profile which is why adding it to one’s diet is a great idea. Adding to the many advantages the nut offers one, a study has revealed that walnuts can also prevent colon cancer as they improve gut health. A study carried out the University of Connecticut Health Center in collaboration with Jackson Laboratory for Genomic Medicine has found out that walnuts can be helpful in optimizing gut microbiome. In fact, they can also suppress the growth of tumors in the colon. For the purpose of this study, researchers divided mice into two groups. The first group served as the control group while the other one was the treatment group. The control group was fed regular mouse chow. The second group was given food that mimicked the nutritional profile of an average American’s diet. Both the groups were given walnuts. 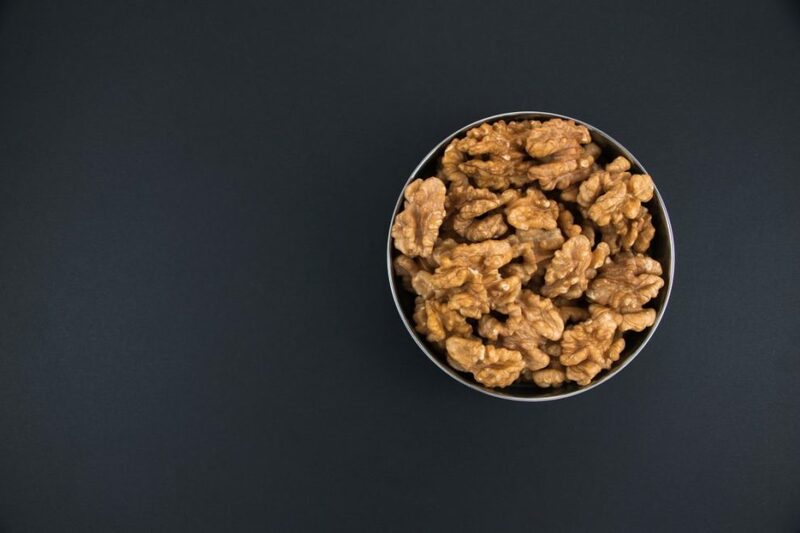 The results showed that the second group which had been fed an American diet, nourished with seven to 10.5 percent of walnuts, showed less occurrence of colon cancer. The benefit was more so in the case of male mice. In comparison to female mice, they had 2.3x less tumors. It was concluded that walnuts worked as probiotics. They had the potential to balance gut bacteria optimally. This is what gave them anti-cancer properties. Walnuts come with a bunch of benefits for your health. They’re rich in vitamins, minerals, antioxidants as well as omega-3 fatty acids. This enables them to improve brain health by substantially reducing oxidative stress. Eating a diet rich in walnuts can improve one’s cognitive abilities and memory. Walnuts can also lower blood pressure and consequently, one’s risk of heart disease. The dried fruit can improve cardiovascular health. It can prevent obesity, cancer, and mental health problems, as it promotes gut health. Walnuts can decrease inflammation as well which is the root cause behind a number of health concerns. The dried fruit works as an appetite suppressant as well and hence, assists with weight maintenance. Walnuts support health aging and prevent physical impairment. They improve digestion as well. They can rid one of constipation as they flush out toxins and clean the digestive tract. Walnuts are nutrient dense and can improve health in several ways. They can improve brain health, heart health and gut health. By doing so, walnuts can prevent a number of diseases and ailments. A new study has found that walnuts can also prevent colon cancer by optimizing gut bacteria. This benefit of the dried fruit is more evident among males than females.